After dropping “Turn Up” that we are still jamming to . 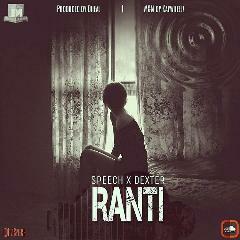 Now this great rapper Speech ups his game with another fire track titled ‘Ranti’ featuring Dexter. The track 'Ranti', was produced by Dheal. This great sound will definitely make you dance. You can follow him on IG and Twitter @itzispeech.